Activist Post previously reported that the U.S. Department of Homeland Security (DHS) wanted to develop advanced facial recognition technology that scans the faces of travelers as they enter and leave the U.S. border checkpoints. Last year we saw those efforts have expanded to airports with numerous tests throughout the U.S. However, now according to 346 pages of documentsobtained by the nonprofit research organization Electronic Privacy Information Center, those efforts are expanding even more with plans of implementing the technology in as many as 20 different top airports by 2021, as a part of U.S. President Donald Trump’s “Biometric exit” agenda, which was originally signed into law under the Obama administration, BuzzFeed Newsreported. Customs and Border Protection began testing facial recognition systems at Dulles Airport in 2015, then expanded tests to New York’s JFK Airport and airports in Atlanta. This, of course, is following a hidden directive within an executive mandate signed by U.S. president Donald Trump in his immigration order on January 27th of 2017 — best known for suspending visitors to the U.S. from seven majority-Muslim countries — also included an article expediting the biometric exit program. The order further stated that there will be three progress reports to be made over the next year on the program. Trump’s executive order in March built on that by specifically limiting biometric scans at the border to “in-scope travelers” or those who aren’t U.S. or Canadian citizens. According to the documents, the CBP’s stated goal here is to “identify any non-U.S. citizens subject to the exit requirements who may fraudulently present” travel documents. The agency said it had “no plans to biometrically record the departure of U.S. citizens.” But the CBP also said it “does not believe there is enough time to separate U.S. citizens from non-U.S. citizen visitors prior to boarding” … “therefore, facial images will be collected for U.S. citizens as part of this test so that CBP can verify the identity of a U.S. citizen boarding the air carrier.” CBP said that once a traveler is identified and confirmed as a U.S. citizen, their images are deleted. However, a key problem when it comes to using the technology inside airports is the lack of restrictions on how airlines, airport operators, and other commercial third parties can use or disclose data collected under government mandate. Also, we must ask how long this data will be retained and how do we know the government will follow its commitment to delete the data? Elsewhere in the world, facial recognition and the use of biometrics can be seen all over starting to emerge. In Malta, Prime Minister Joseph Muscat recently confirmed plans to implement facial recognition into the CCTV surveillance cameras around the country’s zones. Six major U.S. airports, including Boston, Atlanta, and New York’s Kennedy Airport, completed trials started under the previous Obama administration in airports, while other tests were held under the Trump administration from 2017 to 2018. Biometric surveillance is even expanding to border crossings, bridges, and train stations. 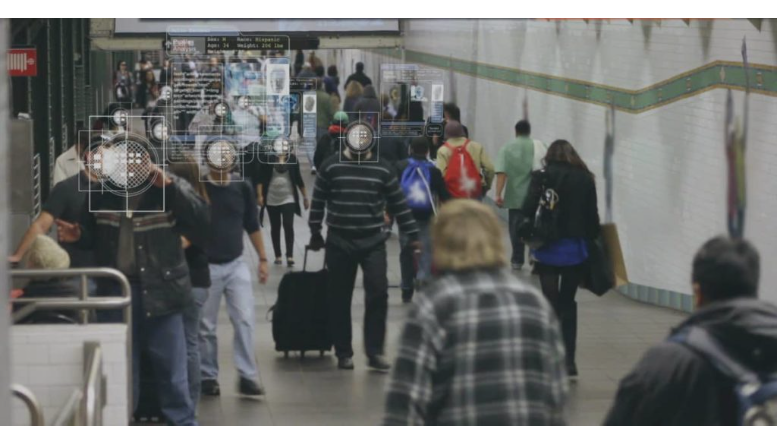 As previously stated, the rise of facial recognition technology is now inevitable. Last year the MTA ran a test program announcing they will enable cameras near bridges, tunnels, and roadways in New York to recognize the faces of drivers and passengers. This is all sure to just enrage privacy advocates everywhere even more and spur protest against the new suggested Orwellian system. Privacy advocates have long opposed biometric screening of immigrants. Already privacy advocates have sounded the alarm and argued that the implementation of the biometric scanners in airports and elsewhere would be a huge step towards a surveillance state, and they’re absolutely right. Privacy advocate groups, attorneys, and even recently Microsoft, which also markets its own facial recognition system, have all raised concerns over the technology, pointing to issues of consent, racial profiling, and the potential to use images gathered through facial recognition cameras as evidence of criminal guilt by law enforcement. Congress has agreed several times in the past to extend face scans on foreign nationals leaving the US, but critics say that lawmakers never intended for Americans to also become subjected to the new measure. U.S. Customs and Border Protection considers its jurisdiction to be anything within 100 miles of the border, so naturally one of the privacy questions for Americans is whether this tech would be deployed inside the United States. “The only way for an individual to ensure he or she is not subject to collection of biometric information when traveling internationally is to refrain from traveling,” the DHS wrote in a document. The DHS desires to use facial recognition technology to better track and record approximately 1 million foreign travelers who each year enter and exit the United States, with a rough estimate of 300,000 traveling by plane. Activist Post first reported on the DHS seeking to develop advanced facial recognition technology when the agency called on technology companies to submit proposals for the system in 2017. At the time, the agency noted it was looking for a company to produce technology that could accurately scan the faces of travelers as they enter and leave the U.S. border on highways. However, as is shown in this article, that technology was already being tested at public airports for years prior. Last year during test programs at Boston, Houston, New York, and Atlanta, travelers were photographed as they prepared to board planes. The cameras then used facial recognition technology to match up the passengers’ faces with data collected by the federal government on each foreign national who entered the country. It’s interesting to note that there was a 15% margin for error in the tests giving an 85% accuracy rating in the study of the facial recognition technology, Activist Post reported. We can see how far this Orwellian technology has come; it’s about to be mass adopted by U.S. airports nationwide. No one can deny it, we have undoubtedly entered a mix between Strange Days and The Minority Report; Hollywood wasn’t a script to create a dystopian future. With our future seeded in a surveillance blanket we should all be asking who has control of our biometric data and for what purpose? Meanwhile, China is planning to merge its 170+ million security cameras with artificial intelligence and facial recognition technology to create a mega-surveillance state. This compounds with China’s “social credit system” that ranks citizens based on their behavior, and rewards and punishes depending on those scores. Consent to be identified by the government whenever and wherever we go is approval to have the government decide whether, when, and where we are allowed to travel. Put bluntly: it is very dangerous. The scary part is that intelligence agencies would be able to use their surveillance dragnet interlinked into CCTV cameras and companies like Facebook that utilize the technology to track someone’s location in real-time. We are walking into a draconian Orwellian nightmare and things don’t appear to be slowing down any time soon.